Keyloggers have been identified as one the most dangerous form of a malware, it uses various methods to access your private data such as passwords, credit card info, account numbers etc, and then its transmitted across the web to a unauthorized user; then he sells such sensitive information to the highest bidder, leaving the victim with very little to do. Keylogger technology can also be used to turn on your webcams to film you. Keylogger technology can also be used to track you activities by some who cares about you. A good anti-keylogger software can detect any kind of malware activity or any kind of dedicated software (intentional or not) and blocks them from capturing any data. A decent anti-keylogger software can detect and restrict all known types of keyloggers, which include the screenshot, sound, file copy malwares. It should block commercial keyloggers. It should be easy to configure and should be compatible with most of the popular technologies. We had the following criteria, when comparing the anti-keylogger software. The amount of keyloggers currently present is numerous and they can enter you system multiple ways. The elementary keyloggers are capable of only capturing keystrokes from your keyboard, but the modern keyloggers can do so much more like screen capture (captures display of your screen). The vilest of them is the one which captures banking info before the banking portals can secure the transaction. While some of them can access your private data like images or videos and make them available publically. Some of the keyloggers are even capable of access your webcam remotely and spying on you. The better anti-keyloggers should be able to detect even the keyloggers that were installed by the loved ones or you employer. This criteria included the features that were provided by the software for management along with added security features. The management tool must have the option to edit your rules and permissions for the anti-keylogger, logs etc. The added security features may include an anti-virus scanner, encryption for keystrokes etc. Top tier anti-keyloggers include the feature of advanced configuration as compared to basic configuration of normal ones. It is important that the chosen software must be compatible with you operating software. It should be able run smoothly on your OS. Most of the time the anti-keyloggers are compatible with the anti-virus programs (as they are not meant to replace the anti-virus). Many of us think that their personal info is not that important, that a hacker will be interested in it. But keyloggers are not racist they target any and all available computers and start transmitting the data. This can lead to adverse effects which we may not yet be able to foresee. To avoid this and many other cyber mishaps, having a security solution that can provide all the needed protection is must. 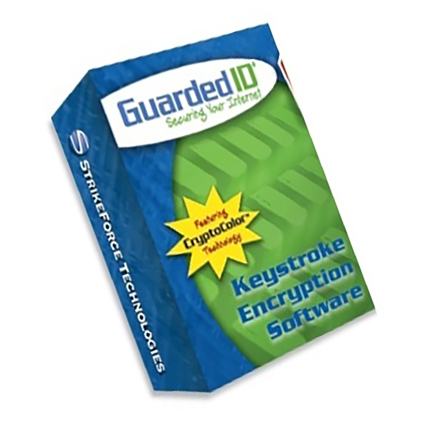 GuardedID provides powerful protection from keyloggers. The modern GuardedID system of keystroke encryption and anti-keylogger technology protects you from identity theft. According to various research experts in computer security, it was found that approximately 70% of keyloggers are not detected by antivirus software. This means that even with the current antivirus software you will not detect and remove 100% of keyloggers installed on your computer. 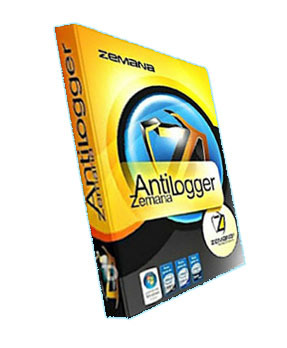 Zemana AntiLogger is an anti-keylogger with a proactive protection and a cloud-based IntelliGuard protection technology. In real time, using behavioral analysis, it constantly monitors any of suspicious-acting elements on your PC. The software is compatible with most browsers. KeyScrambler Personal – it is a small program that provides a quick and accurate encryption of data, entered by a user while working with Flock, IE, Firefox browsers, thus providing protection against spyware keyloggers. 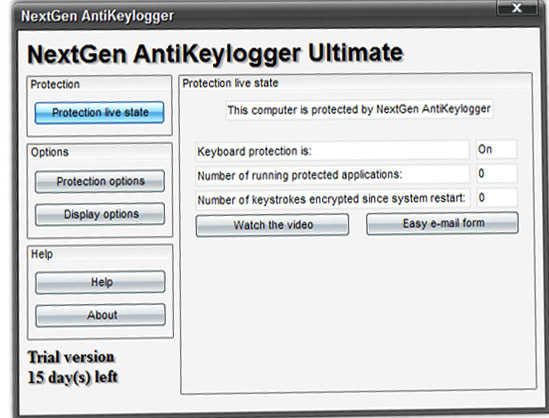 NextGen AntiKeylogger deletes keyloggers, which intercept data from the keyboard and other programs that carry out supervision and control over the activities of the PC user. There is no need for you worry about any kind of keyloggers including keylogger malware and commercial keyloggers. This anti-keylogger software does not only detect them but also remove them completely. There is no keystroke encryptors that comes with Keylogger Detector and we should not expect getting responds for our email queries. Whatever you do with your computer, it would be best if the keylogging software does not record and report all your activities. This software will help you detect and removes all kinds of keyloggers including the commercial ones. Many people believe that using their computer is no longer safe and according to the data from Keylogger Detector, more than 100 million computers on the planet are somehow being monitored for certain purposes. Keylogger Detector comes as an effective anti-keylogger software that both detects and removes all types of keylogger. It does not mean that you have to keep an employer-owned computer free from monitoring software since some other malicious keyloggers usually come wihtout an invitation. The Keylogger Detector can be a reliable software that you can use to protect your passwords, logins, emails, chat conversations and even your web browsing activity. There are many types of anti-keylogger software out there but only Keyloger Detector and a few other software that offer complete keylogging services. Not only that this reliable keylogger software is able to detect and block keyloggers, Keylogger Detector is also well equipped with a module to remove keylogger software. It is no secret that our computer might be filled with plenty of monitoring software like spyware or keylogger software. The ones who install the keylogger software do not require a physical access to do it. Some commercial keyloggers tend to appear as the software that we want in our machine. That is why antivirus software is unable to detect and remove the keyloggers. On the other hand, Keylogger Detector has the power to find all these keylogger software and also the suspicious-acting elements in the machine. This software also offers a security risk to protect your privary. The scan result reports shall be collected automatically and sent to the developer so that they can keep their software updated. This information can be a great source for further development and study as well. 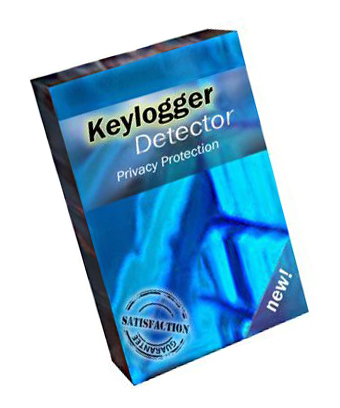 Keylogger Detector is also well equipped with useful tools that will keep your system from the stealthy intruders. Beside detecting all kinds of keylogger software, this anti-keylogger software can also detect attempted modifications to your boot data, startup processes and your hard drives. You can use this useful software on any Windows-based computer including the ones with Windows 2000, XP, Vista, 7 and Windows 8. Simply put, Keylogger Detector is the right software for you to learn how to detect, block and get rid of the keyloggers for good. This software enables you to secure your passwords, logins and internet communications. But if you have a need to block the recording of your VoIP communications, you might as well choose another product with higher rank from us. With SpyShelter, the most complex and newest types of keylogger malware can be detected, both sounds and screens capturers, clipboard capturers, webcam controllers and SSL-bypassing keyloggers. A keystroke encryptor is also involved to secure delicate intercommunication which can also unmask intentionally installed keylogger software. Spyshelter secures you against all keyloggers regardless of the medium through which they try to penetrate your system. It works smoothly and it is easy to run the rules, settings and notifications. Keylogger are common and most deadly type of malware. They are purposely built to pickup sensitive personal details like passwords, logins and credit card details. Some of these keyloggers are purposely built by hackers to penetrate defined targets; some greatly spread with time and are chaotic. This antti-keylogger software secures you against keyloggers hunting for sensitive details and against keylogger software that was purposely installed. Spyshelter anti-logger can even bar keyloggers against abducting your logins and confidential data stored up on your clipboard. This award winning anti-logger software is a superb tool you need in your security suite for total keylogger protection. Although some state-of-the-art security suites have tools for unmasking and barring keyloggers, they often don’t bar software that were intentionally installed; this is because they assume it is a software the user wants to be installed. Commercial keyloggers are common and mostly used by watchful parents, and lovers who are suspicious of their partners. Parents and employers spying on their computers with monitoring software are legally backed, it is not exactly same with spouses; though it varies from state to state. Do you have any fears about a keylogger or a form of spyware installed on your PC? SpyShelter will unmask it. Keyloggers varies in forms, but trust Spyshelter with its high-tech to unmask all types. If it happens that one sneaks, a keystroke encryptor is included to offer extra protection. Encryption technology is currently being recommended by security experts as the best medium for sending confidential information on the internet in terms of security. The encryption driver for spyshelter runs perfectly on Windows 7 and 8; on 32-bit – 64-bit operating systems. All keystrokes can be encrypted by SpyShelter since it doesn’t depend on applications to function. Spyshelter can also block some other sorts of spyware that uses same technology as keylogger, like such spyware that gains entry to your webcam, switch it on and discretely spies on you. Malwares that tries to record sounds like webcam conversation and private VoIP can also be unmaskedd. SpyShelter acts as an informant on your system and reports to you if there is any attempted modification on your registry, hard disk, RAM or startup applications. Even after online services have boosted up measures to protect personal data of clients, there are still some annoying codes like the notorious Zeus known for bypassing security protocols and obtaining sensitive banking data. Securing your computer against keyloggers is not same as one being extremely paranoia, but rather, it is greatly required in the present day. Having a fine online protection remedy, a keystroke encryption and an effective anti-keylogger such as SpyShelter Stop-logger, you should rest assured in the confidence that you have finally won the battle against keyloggers with the best armory. There are extra security tools which offer you an added level of protection, and configuration settings which give you freedom to set the software the exact way you would have it run. You are allowed when using SpyShelter to build a list of blocked and safe applications and drivers list; this makes it possible for only safe actions to be run. As you download new software, add up new devices and surf new sites, you can always adjust your safe list. You will get an instant alert whenever there is an attempted installation and you can further take action – to allow installation or block it. Some particular modules can be switched on or off, clipboard capture, screen capture, webcam loggers, network spy, sound recorders and system protection. Although we are not of the opinion to switch off your anti-logger, but there could be times when you need to briefly turn down your security. In particular, the network spy is very vital. It secures you during POP, HTTPS, HTTP, FTP, SMTP and SSL interactions. Applications like those certified by Microsoft can be set on “always allow.” Driver of the keystone encryption can be configured to be applicable to some specific applications. You can configure almost every feature the way it suits you. As you get more of allow/deny lists, SpyShelter turns less interfering and offers you the avenue to customize your applications. SpyShelter runs fine on virtually all present windows OS, including the famous 64-bit Windows 8 OS. However, the 32 and 64-bits versions slightly vary. In the 32-bit versions, the virtual keyboard runs smoothly, but not same with the 64-bit; the driver for keystroke encryption is compatible with the 64-bit version which makes the virtual keyboard irrelevant. The software also runs perfectly on 64-bit and 32-bit versions of windows XP, Vista and 7. The software does not offer a Mac version. It has an installation file of just 50mb and works fine on low RAM. It works perfectly on all software and browsers because its driver does not depend on applications to work. It has also been compatible with all the top antivirus software it was tested with. Are you bothered about protecting your credit card numbers, confidential interactions, banking info and your ID? SpyShelter has come to help you out and guarantee your complete protection. It can unmask keyloggers software and also rogue the code of keylogger. With the encryption driver, you are guaranteed to protected communications and you have spyware blocked from gaining access to your webcam or sound recorder. 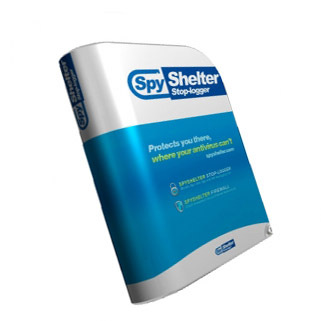 SpyShelter Stop-Logger happens to be top anti-logger software. This Anti-logger is a perfect tool you need to add to you arsenal of security software. The registered users enjoy the benefit of lifetime support provided by the manufacturer. Against the new and upgraded threats, your computer may or may not be protected by the software. The software is capable of protecting against any kind of old key logger software. The company: Global Information Technology, has a worldwide presence specializing in anti-monitoring and monitoring software. The company has been in this field for more than a decade (since 1999), in which it has secured impeccable reputation for developing security software, along with being a certified Microsoft partner. This success is fueled by competent team comprising of talented peoples from all around the globe. The company’s main product is the anti-keylogger software: Privacy Keyboard. A keylogger software captures every keystroke a user types and stores them in an encrypted file. This virus has the potential to send private user data (like credit card info) to an unauthorized person sitting somewhere around the web. 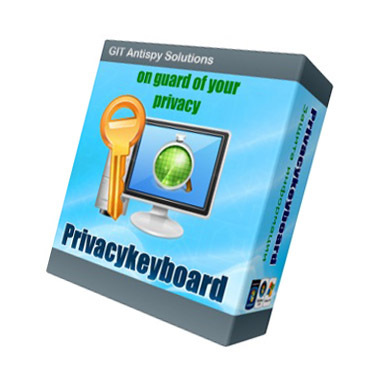 PrivacyKeyboard software is a prime candidate in restraining keylogger applications and also inhibiting them from running on PC’s. This software does not perform any scan to detect for any kind of keylogger softwares instead it works constantly to intercept any malware activity that tries to capture a keystroke. Installing a PrivacyKeyboard software is extremely easy. You are presented with a default option that asks user to input the language and the destination folder, that’s it. You can uninstall the program by just using the uninstall wizard (icon on the start menu) or through add or remove feature in control panel. This software is able to block all the known threat for key logging, but it may or may not protect against a new and upgraded software. Global Information Technology, has claimed that the software (privacykeyboard) is able to protect against text capture of windows, keystroke capture, and screenshot capture. This software is light and swift, that means it does not take too many resources of you PC to run. And is constantly active from the moment you start your PC till you shut it down. This Anti Key Logger software is easy to install and recommended for beginners. It will prevent both hardware and software type key loggers.However, the anti key logger cannot block a print screen command. Not all anti-virus or antispyware software can pick up or block every threat. This can lead to multiple threats either attacking your computer and data or transmitting data over the host’s connection whilst remaining undetected. Key loggers are usually identified as malicious software or malware for short. They record every key stroke whilst transmitting the data and recording to a drive. Global Information Technology (UK) Limited is an independent software development company who specialise in products and software such as Anti key loggers. These anti-key loggers encrypt every key stroke and safeguard your personal information such as passwords and emails. Global information Technology have over ten years of experience in this field, stemming from multiple sources around the globe. The professional team is comprised of people from Russia, United States, Israel and Ukraine. Their products are distributed throughout the world. The installation process for this software is very user friendly, with no set up and only a default option. Once complete, the user can select basic or advanced preferences such as sounds, splash screen start-up as well as visual effects. Advance settings include: reload at system start-up, enabling or disabling protection and an administrator’s password. User based stress testing concluded that this product performed well at detecting and blocking attacks of key-logging software. A test of 5 attacks was carried out.Whilst successfully encrypting every keystroke, only one program managed to access a log file. Though the log file contained no words or numbers and appeared blank, it is unknown whether the user searched for hidden input. Anti Key-logging software runs stealthily in the background, whilst using aminuscule amount of system resources. The system tray icon is the only reminder that it is hard at work protecting your data. Anti-Keylogger successfully detects and blocks the majority of keylogger software that attempts to infiltrate the system. The program autonomously allows applications and commands that possess certificates from Microsoft. Alternatively, users can create their own trusted programs list in addition to removing programs. Furthermore, this software safeguards against unauthorized activity, protecting email communications, instant messages and chats. This will also protect passwords and pins, amongst other vital data. The main purpose of this product is to eliminate malicious keylogging software and protect your computer from further attacks. The product could benefit from the ability to block screen captures.